In November, 2018, the former technology director at Blank Rome filed suit against her former employer and its chief information officer, alleging that she was terminated after making a number of complaints about gender bias and age discrimination. The lawsuit in question was filed by Marion Letterie who had worked for the Blank Rome firm’s Philadelphia office since 1983 in a variety of capacities. Most recently, she was employed as a director in the technology department, but was dismissed in the fall of 2017. According to her complaint, Letterie was regularly paid a lower salary and received lower bonuses than men in similar positions and in 2008, her pay was even reduced by $10,000 due to market conditions, although the male staff director didn’t experience similar reductions. Letterie also alleged that the company assigned her clerical duties that were not within the scope of her employment, expected her to do the paperwork of other employees in the department, and regularly gave performance feedback that included references to gender biases. The plaintiff further claims that she was repeatedly denied additional resources and training and was excluded from network operations meetings. Letterie claims to have made a number of complaints over the last 14 years, including a formal complaint that was filed in 2016 and included allegations of gender-based disparities in pay. Unfortunately, these complaints were not investigated by the company. Finally, Letterie filed an external complaint with the Philadelphia Commission on Human Relations in April 2017. Soon after, Letterie was notified that her employment would be terminated the following month as part of an effort to restructure the technology department. 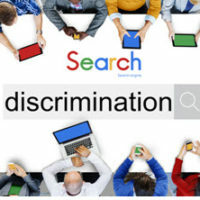 In her complaint, Letterie alleges that her termination was actually motivated by the many gender discrimination claims that she filed, as well as her age, as she was 63 years old at the time of termination and the oldest non-administrative employee in the department. If true, these allegations represent serious violations of Title VII of the Civil Rights Act, as well as the Pennsylvania Human Relations Act, the Age Discrimination in Employment Act, and the Philadelphia Fair Practices Ordinance. Letterie is requesting a trial by jury, as well as reinstatement to her prior position, and a damages award compensating her for full wages and benefits, past and future losses, punitive damages, liquidated damages, attorney’s fees, and pre-judgment interest.